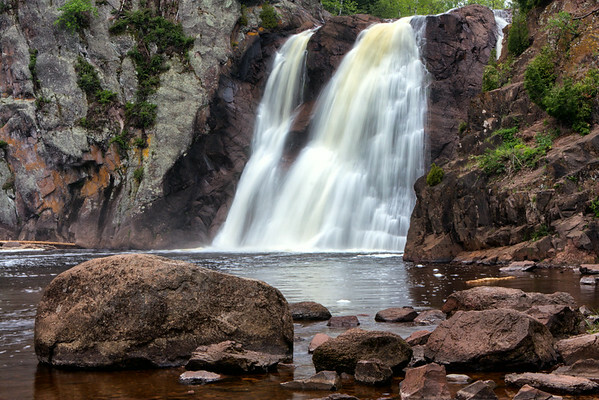 The High Falls of the Baptism River in Tettegouche State Park is the highest falls located completely within Minnesota. It is about a one mile hike with lots of ups and downs, capped by a walk across a suspension bridge above the falls. A slow shutter speed and a cloudy/foggy day helped make this photo.